In 1999, Matt McLean, a real-life uncle to 10 nieces and nephews, established Clermont-based Uncle Matt’s Organic. 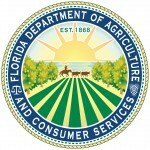 After graduating from the University of Florida, Matt had started his own juice brokerage business in 1993. Years later, a German customer inquired about importing organic juice and that’s when Matt realized his passion for creating an organic way of life. With deep family roots in citrus growth, Matt called on his family’s generations-long philosophy of organic farming and launched Uncle Matt’s Organic with 100 percent not-from-concentrate orange juice. Taking advice from his grandfather, Matt, a seventh-generation Floridian, advocated for stewardship of the soil to produce the healthiest, most nutritious crops available for his juices. Today, Uncle Matt’s Organic continues to pride itself on a steadfast commitment to healthy living, organic farming, and quality organic juices and beverages. 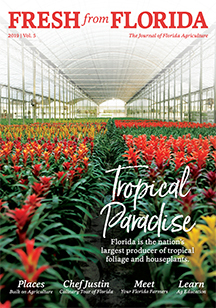 Matt McLean: “I’m a fourth-generation Florida citrus grower, and we’ve been farming for at least, probably 100 years. I remember starting at about 8 years old. Just doing little odd jobs out in the groves, with Dad of the family. A lesson early on is that when you get something to grow, you have to take care of it. And it taught you the value of hard work. The reason I really love what I do, and I’m passionate about it, is because it’s a labor of love. Benny McLean: “I spent the best years of my dad’s life riding with him. He said, ‘Do you know, it’s a feeling that I get that if they like my fruit, they like me.’ And he said that was his connection. Matt McLean: “Being a multi-generational family member and grower, you take pride in knowing that the generation before had integrity in doing what they were doing. 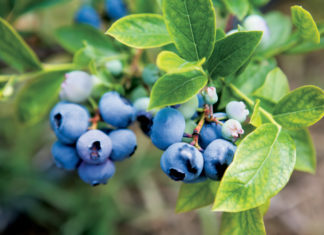 Florida blueberry farm works to protect the land.